Is meat evil? A vocal minority shouts “Yes!” The British eco-journalist, George Monbiot, was an enthusiastic advocate for the vegan diet. He did an abrupt U-turn after reading Simon Fairlie’s book, Meat — A Benign Extravagance. Fairlie is a powerhouse thinker, a fire hose of ideas, and a tireless detective who hunts down those who ejaculate statistics that are ridiculously biased or fictitious. This book will reduce your trust in all statistics by 71.8 percent. He doesn’t take sides; he forces everyone to reconsider their beliefs. I strongly recommend it to readers who have an addiction to food. Fairlie is an ex-vegetarian, a hippie eco-journalist, and a jack-of-all-trades. Once upon a time, he was living on a vegetarian commune in England, and contemplating their diet. He suddenly realized that it made no sense. The protein and oils that they consumed were imported from faraway lands where people were poor and hungry, whose cropland was being diverted from essential subsistence farming to produce commodities for export — nuts, soy, pulses, peanut butter, and vegetable oils. Why didn’t his commune consume the protein and oils produced by their next-door neighbors — meat, eggs, and dairy foods? One of his primary interests is livestock production. His (impossible) sacred mission in life is to envision a sustainable way of feeding 60 million Brits. He doesn’t gift wrap a perfect solution, but the process of his search is delightfully illuminating. Three ideas provide the foundation of this book. (1) Feeding grain to livestock (or automobiles) is not ethical. (2) Humankind consumes too much food from animal sources, and people in the prosperity bubble should cut back. (3) A diet that includes mindfully produced animal products can be ethical. The book contains an enormous number of words and ideas, and it did not have space for some important issues. Fairlie sincerely believes that caring and competent livestock husbandry does not involve cruelty. Allowing animals to suffer from the painful maladies of old age is cruel. In the good old days, merciful wild predators ethically put elderly critters out of their misery. He acknowledges the arrival of peak cheap energy, but doesn’t vigorously explore the enormous consequences for agriculture and society. Feeding 60 million Brits via muscle-powered agriculture is not possible, and it’s impossible to indefinitely continue mechanized farming using biofuels. He proposes a radical redesign of the British way of life, whilst not addressing the Mother of All Problems — the extreme overpopulation of the UK, and its dependence on importing large amounts of food. (Or is agriculture itself the Mother Problem?) Obviously, it would be far easier to feed one million (or fewer) Brits in a sustainable way. He sensibly omits a discussion of diet and health, in which a million experts can agree on nothing. If a fleet of predator drones destroyed every facility for the mass production of animal foods tonight, half of the world’s livestock and poultry would remain unharmed. Ruminants (cattle, sheep, goats) can convert plant fiber that we cannot digest into meat and milk that we can digest. Normally, they dine on lands that are unsuitable for raising crops. Hogs are omnivores that, in traditional societies, excelled at converting garbage into bacon. They cleaned up feces, kitchen trimmings, spoiled foods, butcher’s wastes, and many other delicacies, converted them into wealth, and stored it up — like a piggy bank. Chickens played a similar role. So, if the consumption of animal foods were limited to animals raised in these traditional ways, it would cause far less harm. Never forget that the production of grains and vegetables is also a source of immense harm. Plowing and reaping a grain field destroys many animals in a cruel and unethical manner, and it gradually ruins the soil, too. Fairlie devoted considerable effort to exposing the sources of ridiculous statistics cited by the anti-meat crowd. For example, “each kilogram of beef requires the consumption of 100,000 liters of water.” This was traced to David Pimentel, a respected scientist. His calculation included rain that fell on the grassland — rain that would fall whether or not livestock were present. Fairlie’s grass-fed cattle consume about 50 liters of water per day, and soon piss most of it right back out. At the very most, his grass-fed beef required 400 liters per kilogram of meat. Oddly, Pimentel’s calculations implied that less water was needed to produce grain-fed beef. Fairlie also butted heads with those who blame climate change on livestock, the alleged source of 18 percent of all greenhouse gas emissions. Cattle are worse than cars! He plunged into a long and comical hunt for the source, which turned out to be the UN Food and Agriculture Organization (FAO). The statistic was blessed by the reputable International Panel on Climate Change (IPCC), went viral, and was repeated by major media outlets, with no fact checking whatsoever — an instant imaginary catastrophe. Transportation probably produces about 52 percent of greenhouse gases. Ruminants probably produce from 5 to 9.6 percent of emissions. If all cattle were exterminated tonight, they would soon be replaced by wild ruminants, which also fart and belch. The Great Plains of the US were formerly home to 60 million bison (not a problem), but they have been replaced by 60 million climate killing cattle (oh my God!). The ecologically worst foods come from exterminated rainforests. We must avoid rainforest products like soy, beef, and palm oil. Was your tofu, vegetable oil, or soy burger born in a former jungle? Seventy percent of vegetable oil comes from soy. Soybeans are processed into vegetable oil and high-protein soy meal. About three percent of the meal is eaten by humans. Most of the meal becomes high-potency feed for the industrial meat-production facilities that we all love to hate. What would the UK look like if it became 100% vegan? There would be no livestock, and no manure, so soil fertility would have to be maintained by devoting a third of the cropland to growing green manures, instead of food. If the land were to be worked with biofuel powered machines, then more land would be needed to grow the fuel. Maintaining and replacing the machines would require the existence of an industrial society, which is not sustainable. If horses were used for traction, producing their feed would require between a quarter and a third of the farm (for oats, grass, and hay). On the bright side, land formerly used for grazing could be returned to woodland and wildlife. On the downside, expanded woodland would provide habitat for expanded numbers of wild animals, which vegan communities could not ethically kill. Bunnies, boars, and deer frequently confuse large thriving gardens with a delicious paradise, and they routinely disregard stern instructions from agitated gardeners. No farmer, meat-eater or vegan, can tolerate the presence of uncontrolled wildlife. One solution is defoliation — surround the community with a wide vegetation-free buffer. Animal rights advocate, Peter Singer, recommended capturing and sterilizing the wildlife. The other option is an impermeable fence, tall enough to block deer, and deep enough to block burrowers. Do you enclose the garden, or do you enclose nature? What about mice, rats, and pigeons? These are just a few of the notions served at Fairlie’s banquet of ideas. After observing the world through the mind of a livestock husbandman, I was impressed by how much effort, complexity, suffering, and damage was required to keep way too many people alive. The original indigenous inhabitants of the land simply adapted to living with the ecosystem that surrounded them. They ate salmon, bison, and aurochs that thrived without human owners and managers. Their way of life had no objections whatsoever to the existence of lions, wolves, and bears. They had little need to molest the living forest. They never had to think about soil depletion, erosion, or pollution. They enjoyed a far healthier diet. They could drink out of any lake or stream. They lived well, without rocking the boat, for quite a while. Fairlie, Simon, Meat — A Benign Extravagance, Chelsea Green, White River Junction, Vermont, 2010. Every year, Canadians eagerly huddle around their radios to listen to the Massey Lectures, broadcast by the CBC. For the 2004 season, Ronald Wright was the honored speaker. He presented a series of five lectures, titled A Short History of Progress. In 2005, Wright’s presentation was published as a short book, and it became a bestseller. Martin Scorsese’s movie, Surviving Progress, was based on the book. He pointed out that the world was dotted with the ruins of ancient crash sites, civilizations that self-destructed. At each of these wrecks, modern science can, in essence, retrieve the “black box,” and discover why the mighty society crashed and burned. There is a clear pattern. Each one crashed because it destroyed what it depended on for its survival. Wright takes us on a quick tour of the collapse of Sumer, Easter Island, the Roman Empire, and the Mayans. He explains why the two oddballs, China and Egypt, are taking longer than average to self-destruct. The fatal defects of agriculture and civilization are old news for the folks who have been paying attention. It has become customary for these folks to believe that “The Fall” took place when humans began to domesticate plants and animals. Wright thinks the truth is more complicated. What makes this book unique and provocative is his notion of progress traps. The benefits of innovation often encourage society to live in a new way, while burning the bridges behind them as they advance. Society can find itself trapped in an unsustainable way of living, and it’s no longer possible to just turn around and painlessly return to a simpler mode. Like today, we know that the temporary bubble of cheap energy is about over, and our entire way of life is dependent on cheap energy. We’re trapped. Some types of progress do not disrupt the balance of the ecosystem, like using a rock to crack nuts. But our ability to stand upright freed our hands for working with tools and weapons, which launched a million year process of experimentation and innovation that gradually snowballed over time. We tend to assume that during the long era of hunting and gathering our ancestors were as mindful as the few hunting cultures that managed to survive on the fringes into the twentieth century. But in earlier eras, when big game was abundant, wise stewardship was not mandatory. Sloppy tribes could survive — for a while. Before they got horses, Indians of the American west would drive herds of buffalo off cliffs, killing many at a time. They took what they needed, and left the rest for legions of scavengers. One site in Colorado contained the carcasses of 152 buffalo. A trader in the northern Rockies witnessed about 250 buffalo being killed at one time. Wright mentioned two Upper Paleolithic sites I had not heard of — 1,000 mammoth skeletons were found at Piedmont in the Czech Republic, and the remains of over 100,000 horses were found at Solutré in France. Over time, progress perfected our hunting systems. Our supply of high-quality food seemed to be infinite. It was our first experience of prosperity and leisure. Folks had time to take their paint sets into caves and do gorgeous portraits of the animals they lived with, venerated, killed, and ate. Naturally, our population grew. More babies grew up to be hunters, and the availability of game eventually decreased. The grand era of cave painting ended, and we began hunting rabbits. We depleted species after species, unconsciously gliding into our first serious progress trap. Having destroyed the abundant game, it was impossible to return to simpler living. This was a progress trap, and it led directly into a far more dangerous progress trap, the domestication of plants and animals. Agriculture and civilization were accidents, and they threw open the gateway to 10,000 years of monotony, drudgery, misery, and ecocide. Wright says that civilization is a pyramid scheme; we live today at the expense of those who come after us. Climate scientists have created models showing weather trends over the last 250,000 years, based on ice cores. Agriculture probably didn’t start earlier because climate trends were unstable. Big swings could take place over the course of decades. In the last 10,000 years, the climate has been unusually stable. A return to instability will make civilization impossible. Joseph Tainter studied how civilizations collapse, and he described three highways to disaster: the Runaway Train (out-of-control problems), the Dinosaur (indifference to dangers), and the House of Cards (irreversible disintegration). He predicted that the next collapse would be global in scale. Finally, the solution: “The reform that is needed is… simply the transition from short-term thinking to long-term.” Can we do it? We are quite clever, but seldom wise, according to Wright. Ordinary animals, like our ancestors, had no need for long-term thinking, because life was always lived in the here and now. “Free Beer Tomorrow” reads the flashing neon sign on the tavern, but we never exist in tomorrow. The great news is that we now possess a mountain of black boxes. For the first time in the human journey, a growing number of people comprehend our great mistakes, and are capable of envisioning a new path that eventually abandons our embarrassing boo-boos forever. All the old barriers to wisdom and healing have been swept away (in theory). Everywhere you look these days; people are stumbling around staring at tiny screens and furiously typing — eagerly communicating with world experts, engaging in profound discussions, watching videos rich with illuminating information, and reading the works of green visionaries. It’s a magnificent sight to behold — the best is yet to come! Wright, Ronald, A Short History of Progress, Carroll & Graf Publishers, New York, 2005. On the night of January 3, 1994, I was sitting in my kitchen while a Lake Superior blizzard howled outside. A program on the radio was broadcasting a talk recently given at Michigan Tech by John Trudell, a Santee Dakota artist, activist, and visionary. This man had an extra-ordinary mind, and it seized my complete attention. I couldn’t believe what I was hearing. It’s so rare and precious to experience powerfully clear thinking. Last week, 19 years later, I finally saw him in person, at the University of Oregon. It was good. Trudell comes from a culture with an oral tradition, and he prefers the energy of live performances to sitting alone writing. He once carefully summarized his core philosophy in a five-page introduction he wrote for the book Of Earth and Elders. The documentary film Trudell does a memorable job of presenting the story of his life. He has created a number of CDs of spoken word poetry, and he is the venerated subject of many webpages and videos. The following paragraphs provide a sampler of his ideas. John often introduces himself to an audience by announcing that he is crazy. The form of reality that our society considers “sane” and “normal” is way too weird, and he refuses to jump on that wacky bandwagon. He’s the opposite of normal, and he’s proud of it. If you don’t agree with him, it’s OK, he’s crazy. All human beings are descendants of tribal people who were spiritually alive, intimately in love with the natural world, children of Mother Earth. When we were tribal people, we knew who we were, we knew where we were, and we knew our purpose. This sacred perception of reality remains alive and well in our genetic memory. We carry it inside of us, usually in a dusty box in the mind’s attic, but it is accessible. Like every other region on Earth, the vast ancient forests of Europe were once home to many tribal peoples, folks who loved eating salmon and buffalo. They had a spiritual connection to their past and to their land. Unfortunately, the tribes of Europe were blindsided when hordes of Indo-European farmers invaded from the east, unleashing a tsunami of genocide. The process of erasing their tribal memories began about 3,000 years ago. During the 500 years of the Inquisition (1250-1750), much of what had survived of the indigenous culture of old Europe was eliminated, as countless traditional people were tortured and burned alive (at least 100,000 to 2 million). The perpetrators of this mass murder were predators who were deranged by a highly contagious spiritual disease that had nothing to do with race or culture. This malady lived in the mind, and it altered their perception of reality. As the Inquisition was winding down, many of these infected predators boarded ships and sailed to colonies in the Americas, where they terrorized the indigenous people for centuries. They were incredibly brutal people, because they were the offspring of a brutal, disease-ravaged civilization. Trudell doesn’t hate Europeans for what they have done — you can’t be mad at people because they are infected with a disease. The invaders didn’t understand what they were doing, but they were spiritually responsible for their acts of genocide. They were pathologically paranoid, and could not tolerate the existence of people who thought in a different way. They were empty, lost, and afraid. They had forgotten what it meant to be human beings. We are all human beings. “Human” is our physical form, the bones, flesh, and blood which are made from the minerals, fluids, and gases of the living world. “Being” is our spiritual component, our link to the power of the universe. All things on Earth, animate and inanimate, are spiritually alive. The disease of technological society has damaged our perception of reality, and pulled us away from our power. We are constantly bombarded by inputs that insist that we are inadequate, undesirable, and unlovable. They grind away our self-respect, and reduce us to weak domesticated organisms — things to be controlled and exploited like livestock. The disease poisons our spirits with feelings of sin, guilt, and shame. We don’t trust ourselves, or respect ourselves. We have no spiritual relationship to the future, and that’s insane. We are robbing our children to satisfy frivolous wants and needs. Each person is responsible for the violence perpetuated by the consequences of their purchases. Our power resides in our connection to the Earth, our ability to think clearly, and our refusal to believe the illusions and deceptions of the oppressors. The foundation of our power is caring, respect, and responsibility. Learning is the path to healing, and learning begins with clear and coherent thinking. No medicine is more powerful than intelligence — if intelligence is used intelligently. The environmental movement has had little success, because they tend to remain chained to the consumer mindset, riding in different coaches on the same train as the corporate folks. Progressives often spin their wheels because they tend to focus on the redistribution of wealth, not the protection of the Earth. Their complaints present no real threat to the industrial ruling class. Trudell is not a fan of revolution — kill the killers. The root of the word “revolution” is revolve. If you begin with hatred for an oppressor, revolution will bring you around to a new oppressor, and nothing is gained. Instead of revolution, we should seek liberation from a sick value system. He has no quick and simple solutions to offer, because our problems are anything but simple. Whites can’t heal themselves by imitating Native American spirituality. They need to explore their ancestry, and learn about their tribal origins. They need to remember who they are, and reconnect with their ancestral culture, and this is a lifelong learning process. But most of them don’t want to know about their past. Most of them know nothing about their great grandparents. They prefer to pursue spiritual shortcuts, because shortcuts take far less effort than walking the long and difficult path to genuine understanding, to remembering, to healing. 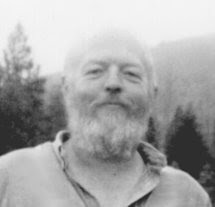 Trudell, John, “Crazy Horse, We Hear What You Say,” the Introduction for Of Earth and Elders by Serle L. Chapman, Mountain Press, Missoula, Montana, 2002. Trudell, Appaloosa Pictures, 2005, directed by Heather Rae, starring John Trudell. Reverend J. A. L. Singh was ordained in 1912, and became a missionary. He spent over 20 years wandering through the vast forests of deepest, darkest India, saving the souls of Hindus and assorted animists. He travelled with an entourage of at least 30 men, including drummers, to reduce the odds of becoming lunch for tigers. Along with his wife, he operated an orphanage in Midnapore. In the autumn of 1920, he began hearing reports from villagers who were living in fear because of “man-ghosts” in the forest. An investigation revealed that the ghosts lived in a termite mound that also served as a wolves’ den. Singh’s men broke into the den, and out flew three adult wolves and two pups. Inside the den, they found two naked, filthy human girls who viciously bit and scratched the uninvited visitors. The wolf-girls were captured and taken back to the orphanage, where they were given the names Amala and Kamala. Amala was about one and a half years old, and Kamala was about eight. They could not stand or walk upright, but moved on all fours, with their palms to the ground. They could run so fast that it was difficult to catch them. They frequently tried to escape and return to precious freedom. The girls did not speak, and preferred to sit by themselves, away from humans, in dark places. They could see very well at night, and had excellent senses of smell and hearing. After midnight, they would prowl around the yard and howl from time to time. They ate and drank like dogs, preferring a diet of milk and raw meat. Clothing was immediately ripped off. They were impervious to cold weather, and did not sweat when it was very hot. Amala died after a year in captivity. Kamala survived for nine years at the orphanage. Eventually, she learned to stand upright, and walk on two feet, in a wobbly manner. She learned a few words, and could nod yes or no. She died on November 14, 1929. Reverend Singh kept a diary about the wolf girls, and took some photos of them. A number of reputable witnesses verified that this story was true. Skeptical scholars failed to discover evidence of mischief. Singh’s diary became part one of Wolf-Children and Feral Man. The second half of this book, Feral Man, was written by Professor Robert M. Zingg. This book is fascinating, important, and unforgettable. Zingg shared a number of stories about other wolf children, all quite similar to Amala and Kamala in their appearance, behavior, and failure to “recover” to “normal.” In the old days, for religious reasons, Indians did not kill wolves, even if the wolf had their child in its mouth. Poor families often slept outside during the hot season. Field workers would commonly set their babies on the ground. It was perfectly normal and natural for predators to seize easy prey. An estimated 5,000 to 6,000 children were carried away by wolves every year in British India. Some of the kids were not eaten, but raised by the wolves. One story described the capture of a wolf-boy who was about ten years old. He had been snatched by wolves when he was four. He could pronounce one sound: “aboodeea.” At night, he would sit on a hillside, where he would be visited by his wolf relatives. They would play and howl together. Finally, the boy found his opportunity, and ran away. He was never seen again. A 1920 story told of an Indian boy who spent three years with leopards. Many children were raised by bears in India, Lithuania, Poland, Denmark, Turkey, and Hungary. There were also wolf-children in Europe. In 1931, peasants in El Salvador discovered a wild child, but were not able to capture him until 1933. When captured, Tarzancito was about five years old. He had lived independently, dining on fruits, fish, and other forest delicacies. Five years old! Feral humans fiercely resisted efforts to capture them. In captivity, they often made efforts to escape, even jumping from second floors. Some were chained to trees. They were not fond of the funny-looking creatures who wore clothing, ate cooked food, slept indoors, held them against their will, and tirelessly tried to force them into living a totally unnatural way of life. Freedom was their one and only desire. The German scholar, August Rauber, believed that feral humans were not ordinary idiots by birth; they were idiots because of isolation. They suffered from dementia ex separatione. The unfortunate feral idiots were separated from the wonders of civilization, and were reduced to living in harmony with the ecosystem. Heretical wordsmiths cannot help but wonder if it’s not the other way around. Could a global pandemic of dementia ex separatione be hammering billions of civilized people who have lost their connection to life? Could this explain the perplexing daffiness of consumer society? Maybe 100,000 years ago, humans were more or less ordinary animals. By 40,000 years ago, we were painting in caves, wearing clothes, using tools, and accumulating knowledge. We had developed culture — a powerful and dangerous thing. Cultural evolution could change human society a million times faster than genetic evolution, and cultural evolution has never been guided by wisdom or foresight. About 10,000 years ago, exceedingly clever humans invented catastrophe — the domestication of plants and animals — and cultural evolution blasted into warp speed. In Ishmael, Daniel Quinn described two forms of human cultures: Takers (civilized) and Leavers (“primitive”). The emergence of Taker societies created a sharp break from relative harmony and balance. As it took root, Taker culture resembled an aggressive cancer that grows as quickly as possible until it kills its host. Today, Leaver cultures are on the brink of extinction. The Taker bubble is temporary, because it is totally unsustainable. It will end either by wisdom or by self-inflicted wounds. Our current disaster could never have happened without the development of culture — the ongoing accumulation of knowledge and technology. Is it possible that our acquisition of culture by 40,000 years ago moved us beyond the point of no return? We ceased being ordinary animals, and turned into unstable loose cannons, entrusting our fate to the freaky whims of cultural evolution. Were Leaver cultures simply embryonic forms of slowly developing disasters? How many of them refused to accept new things like horses, maize, guns, and iron pots? Amala and Kamala were not Takers or Leavers. They had no culture. They show us a third category of humankind that we routinely disregard — free people — ordinary animals (like every newborn baby). Free people had no language, no tools, no fire, no self-awareness, no directed thinking, no sin, no guilt, no greed. They could catch birds, fish, and frogs with their bare hands, and eat them raw. They ate birds’ eggs, roots, nuts, berries. They could survive for years in a state of pure freedom, while leaving no scars on the ecosystem. This was the norm for almost the entire hominid journey. Takers, with their plows and armies, could easily suppress Leavers. Leavers, with their spears and bows, could easily suppress the free people. The free people were completely in harmony with their ecosystem, but were sitting ducks for human societies having cultures. Zingg quoted a frustrated gent who failed to tame the Wild-boy of Aveyron, “In spite of five years’ ingenious tutelage, the boy never became a normal human being.” What exactly is a normal human being?